We all have some claim to fame, often in the form of a distant relative of some distinction. Mine is Homer Laughlin. 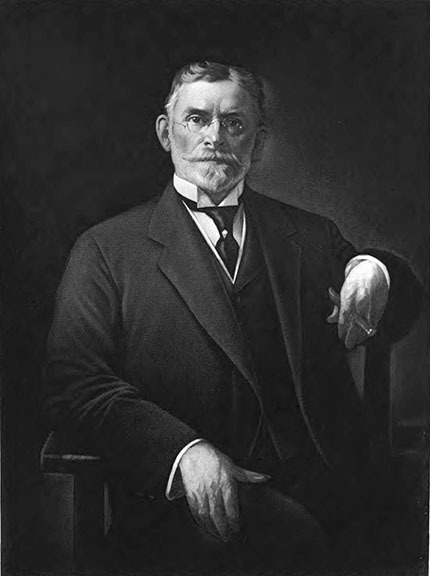 He’s my great-granduncle (or something like that) and founder of Homer Laughlin China, the company that produces Fiestaware. Yes, Fiestaware. That is my claim to fame. Hey, it’s all I got! On the other hand, my husband, Khanh, has an ancestor of great distinction. He is a direct descendent of Nguyễn Văn Tường, a powerful mandarin who ruled as the regent of Vietnam during the mid-nineteenth century. Nguyễn Văn Tường – actually made history. He is a controversial figure, comparable to Richard III of England. Some see him as a king slayer and a traitor, selling out the country to French colonialists. Others see him as a hero and the man who tried to stop the French from colonizing Vietnam. History, of course, is written by the winners and much of what information is available in English about Nguyễn Văn Tường favors the French version of events. Khanh’s family denies most of the allegations made against Nguyễn Văn Tường. My father-in-law did extensive research and authored a scholarly biography of his ancestor’s life that ultimately dispels many of the accusations made against him. 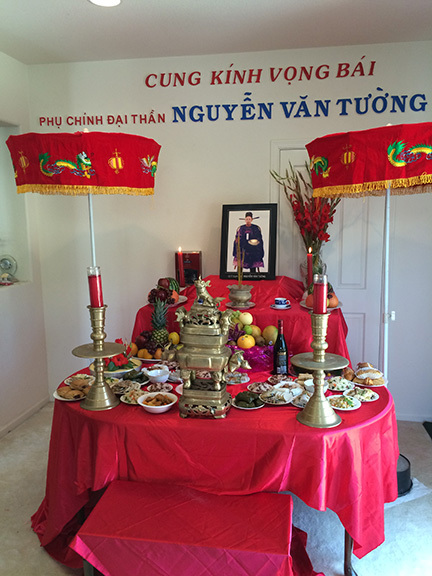 Family altar of Nguyễn Văn Tường. 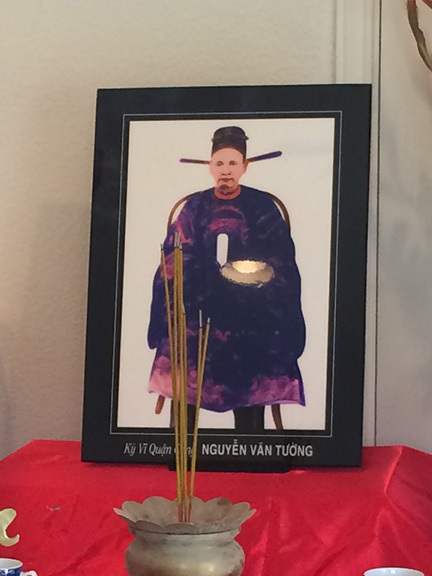 Every two years, the descendants of Nguyễn Văn Tường gather to honor his memory. Khanh and I attended the ceremony this year. The past was indeed present as the family showed pride and reverence toward their maligned and vindicated ancestor. It was an honor to be there. This entry was posted in History and tagged Fiestaware, History, Homer Laughlin, Nguyễn Văn Tường, past, present, Richard III, Vietnam by Lori Saltis. Bookmark the permalink.